UK Team Selection for the 2016 AIDA Team World Championships! Applications for the UK Team for 2016 AIDA Team World Championships in Kalamata are now open! The competition will take place from 16th to 25th September 2016 and will include Dynamic with fins (DYN), Constant Weight (CWT) and Static apnea (STA). We hope to send a team of 3 men and 3 women, plus up to 2 additional athletes of each gender as substitutes and a Team Captain/Coach (who may or may not be part of the competing team). If you are interested in competing for the UK in Greece, please let us know by 9th May. 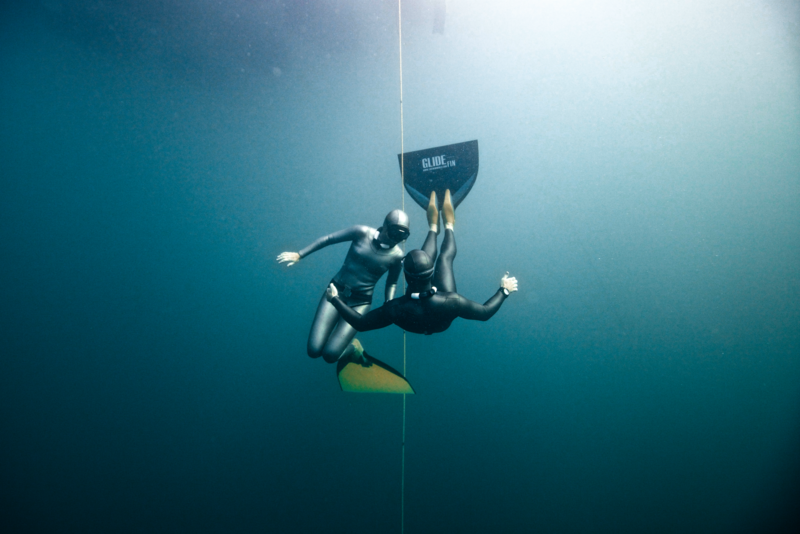 Please send an email to competitions@britishfreediving.org listing your highest AIDA ranked performances since November 9th 2014 in Dynamic with fins (DYN), Constant Weight (CWT) and Static apnea (STA) with details of where this ranking was obtained. If you do not have a ranked performance in any or all of these disciplines, please let us know your current best performances in training, and when you anticipate seeing those ratified officially. If you anticipate achieving a higher ranked performance in any of the disciplines in the next few months, please also let us know that in your email. If your geographical location makes it difficult for you to gain a ranked performance, please let us know and we will take this into consideration. If you are interested in going to Greece as Team Captain/Coach, please let us know you are interested by letting us know your experience in this area, and why you think you would be good for the job. Applications for the Team Captain/Coach position will be considered by the team once they have been selected, and appointed within one month of final team selection. If you make the decision to apply for the 2016 Team, you need to be available in Greece for the dates above. The BFA will be doing all it can to gather sponsorship and logistical support for the 2016 team. However, you also need to be sure you can afford your flights and expenses and the entry fee of 240 Euros and accommodation costs. All competing athletes must be over 18 years old, UK citizens and members of the BFA at the time of the competition.